High-end Sichuan dining concept Meizhou Dongpo has opened in Irvine. The debut marks the second foray into the Southern California area for the restaurant, which is a popular chain based in Beijing. Much like its Century City cousin, this locale serves an array of Chinese fare, including pan-fried pork dumplings, dan dan noodles and Peking duck. Dinner nightly. Meizhou Dongpo, 15363 Culver Dr., Irvine, CA 92604, 949-433-5686. Lucca Cafe in Irvine has closed. Known for its finely curated wine list, it had been in operation since 2006. Owner-chef Cathy Pavlos shuttered the restaurant so she could devote her time to operating her other dining venue, Provenance in Newport Beach. The abdicated space is slated to be filled by the Playa del Rey-based Italian restaurant Caffe Pinguini, which will open a second location in spring 2017. 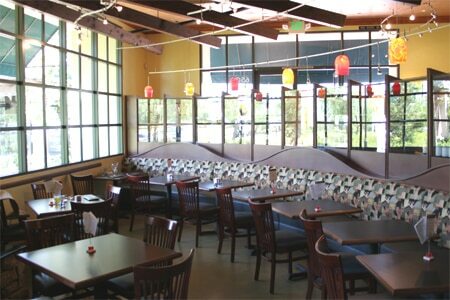 Lucca Cafe, Quail Hill Village Center, 6507 Quail Hill Pkwy., Irvine, CA 92603, 949-725-1773. The Ritz Prime Seafood has closed its doors. The shuttering was triggered by the eatery’s sale to an undisclosed buyer. The Newport Beach bayside spot launched in October 2015 to much fanfare, as it was touted as a re-emergence of the venerable Fashion Island venue The Ritz, which closed in 2014 after a 37-year run. Plans for a replacement restaurant have not been made official. The Ritz Prime Seafood, 2801 W. Coast Hwy., Newport Beach, CA 92663, no phone.